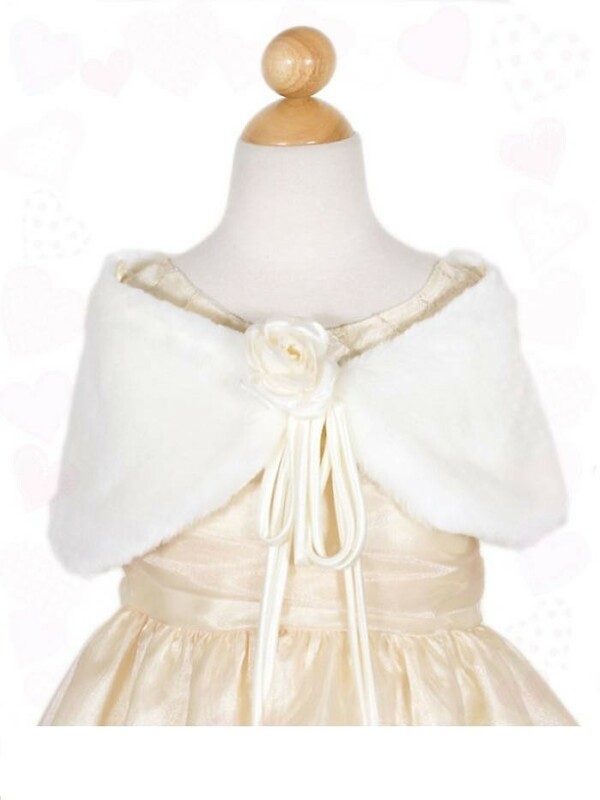 This is a gorgeous ivory faux, fur wrap, designed to be worn over any special occasion dress. Ivory fur wrap covering shoulders and chest. Lined with ivory satin. Satin tie and organza, hand made rose.